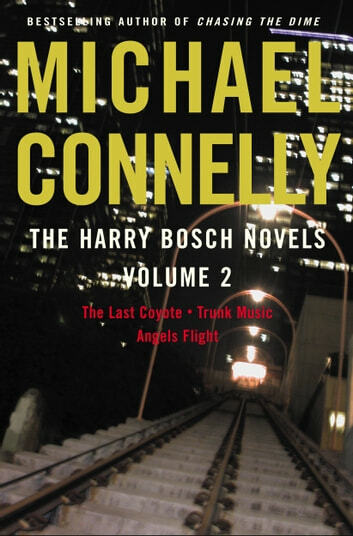 I mean...it's Bosch, you know? Last Coyote - the guy finds out who killed his mother. A couple predictable twists, people get hurt, you get the idea. 4 stars. Trunk Music - A dead guy in the trunk of a Rolls Royce? A bitter wife? Ties to the mob and fighting his fellow cops? Of course. A fun story for the world's unluckiest cop. 3 stars. Angel's Flight - an alliance with his nemesis, more IAD fighting and two mysteries (high profile murder and kidnapped/killed girl) in one? 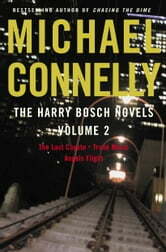 A satisfactory ending closes both cases for Bosch. Bottom line, if you're reading this series, you're clearly going to buy this collection. Nothing really to say except that the first and last stories are satisfying. The second is probably the weakest. Have fun with them, though. I have read these before years ago in paperback, just couldn't resist the temptation of going back in time. They are still great and if you have never read this author you must give them a try! I promise a great read.